“House hacking” may be a newer term, but it describes a concept that has been widely popular in real estate investing for decades. Instead of buying a single-family home to live in, you buy a multi-unit home and live in one unit and rent out the rest. It’s easy. You can collect income on a property where otherwise money would only be flowing out. In a perfect world, this income would be at least equal to or higher than your mortgage payment and expenses. If that happens, then you are living for free! And all the while, you are collecting awesome tax benefits and possible appreciation (a.k.a. free equity) in addition to free living. Shouldn’t everyone do this then? Does house hacking always deliver the perceived benefits? Does house hacking work in every situation and in every market? Not necessarily. It can be great in some situations and in some markets, but that doesn’t mean it will in all, so anyone considering the option should at least be able to know whether this will be a beneficial move or not (pun greatly intended!). If you are thinking of house hacking as a real estate investment strategy, what things should you consider? Here’s the one that most people seem to neglect—and also the biggest one. People seem to think that if they simply house hack a property, it’s a good way to go. But they don’t look at the specific numbers. For the most part, you should run the numbers on a house hack the exact same way you would run them for a normal rental property—at least to give you perspective on what you’re looking at in terms of cash flow and potential profit. 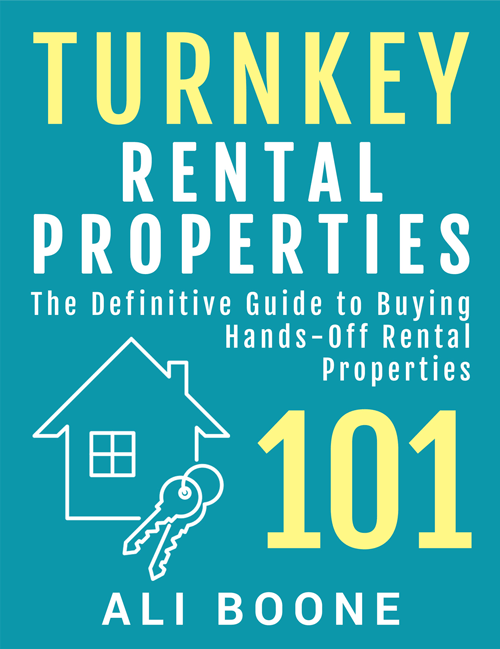 If you aren’t sure on how to run rental property numbers, check out “Rental Property Numbers So Easy You Can Calculate Them on a Napkin.” With those equations, I would recommend running them twice for a house hack—once as if you were renting out the entire property and once with just the income from the units other than the one you will live in. At least get a feel for what you are looking at for the cash flow returns. It’s not always necessarily a bad deal if you aren’t positively cash flowing on a house hack, since there are other benefits, but you want to know the earning potential of the property. Then, if the cash flow is going to be negative on the house hack, how negative is it going to be? Is it going to be more negative than what you would pay for rent if you were to just stick to renting rather than buying/house hacking? This needs to be a consideration. Again, people automatically think house hacking will be profitable, but in some markets, it is a completely realistic possibility that you could lose more money on a house hack than you would by just continuing to rent. You need to know if this is the case, and that requires you to understand the relationship between the price you pay for the property and the income potential on it. If you pay too much for a house hack, which can easily be the case in expensive markets, it’s not going to be half the “investment” you think it will be. This one is a little bit more of a life factor than an investment factor. If you are able to house hack a property in an area you would normally want to live anyway and the numbers work out, cool. But in places like Los Angeles or any other expensive market, there’s a good chance that in order to afford a multifamily property or buy one with numbers that work (if that’s even possible), you may have to buy it somewhere other than where you would normally live. Do you really want to live where you would have to buy the property? Is living somewhere you don’t like really worth the investment? I’d at least hope that if you are willing to live somewhere you really don’t like that the numbers are good enough to make up for it. If you don’t want to live there and the numbers aren’t good, I really encourage you to reconsider. Maybe you don’t have to give up house hacking completely, but keep looking. Let’s think of a dramatized scenario. You’re in the Los Angeles area and you really want to house hack. The only place you can find a multifamily property that will even half-pretend to cash flow is in East LA, in a semi-sketchy neighborhood. All the while, you work on the west side. So, in order to see some kind of cash flow, you now have to live in a semi-sketchy area where you likely won’t make tons of neighbor friends anytime soon, and you have to commute during rush hour to your job. Is all of that worth the house hack? In this scenario, I’m betting the cash flow on that property still isn’t something to write home about. But let’s say that for some reason there is tremendous cash flow on that deal. Is it worth it? The answer will be different for everyone because everyone’s situations and desires are different. I personally would rather rent something if it means I can live where I want. But that’s just me. The situation may also be drastically different in a more reasonably priced market. A lot of those markets have perfectly acceptable suburbs that would cash flow, so that could be an easy deal. But if you are truly a city person, I can’t say I recommend moving to the suburbs. Don’t short yourself your own desires in life in order to earn a penny. This one can be the make-or-break for whether a house hack is worth it. What are your long term plans? This means your personal plans and the plans or goals for a property as well. Are you planning to hold the property long-term? If you’re thinking of doing it anywhere close to the short-term, remember that for the first few years, if you have a mortgage, you are mostly paying just interest. So, if you only pay towards interest on the mortgage and then sell the property, is it going to have appreciated enough or had enough cash flow on it along the way to make up for that expense? If the cash flow on it is good, then cool (maybe). But if the cash flow is minimal to negative, be sure that the length of time you plan to own the property aligns with the timeframe that will be required in order to profit from it. Don’t forget to include closing costs and any other repairs or expenses you may incur during that time. If the numbers aren’t showing it to be a positive play, how negative is it? Is it more or less negative than what you would pay in rent during that same timeframe? These things matter! 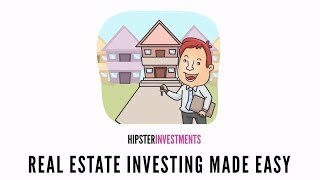 But ultimately too, if the appreciation and cash flow aren’t necessarily what you would normally expect for a “successful” investment move, maybe the property is one you plan to hold for the long-term and maybe even plan to live in forever. Once you start calculating 30-year outlooks, profits can look a little bit different than if you’re just holding for the short-term. Again, everyone will be in different situations and have different motives around their investment plays. Maybe yours works with a negative income property. But at least be aware of exactly what you are buying and relate it to your long-term goals and the income. As mentioned, appreciation matters in relation to the expenses. If there’s cash flow on the property, you won’t have to be so reliant on appreciation. But if you are in a negative cash flow situation, appreciation is critical. So if you think of mortgage interest, property taxes, insurance, and repairs/maintenance, and even vacancy periods—will the appreciation over the hold time make up for all of those things? If not, how will you profit? Or will you at least be out-of-pocket less than you would paying rent during that time? Look at the math in depth. People seem to be very quick to ignore the entire issue of mortgage interest. If you are paying cash for a property, things get a lot less dire for appreciation. I always look at the full amortization table of a mortgage, and I look for the total calculated interest over the 30-year hold. It’s quite depressing, but it needs to be looked at. If cash flow isn’t keeping you afloat, could your property appreciate enough to make up just that mortgage interest alone (never mind all the other expenses)? You’ve got to understand the numbers! If you haven’t noticed a theme yet, it all comes back to the numbers.